The ultimate food container. Brought to you by Eco-Products. There is nothing this container can't handle. Hot, cold, soupy, greasy, icy, or crunchy, you can fill up these paper containers with just about anything without leaking or wilting. Best of all, these containers are made from recycled content fiber, not foam. Hot and Cold Food Containers give you a way to hold all of your treats comfortably and help divert landfill waste at the same time. 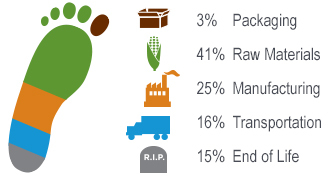 Our most versitile food container with great environmental benefits. 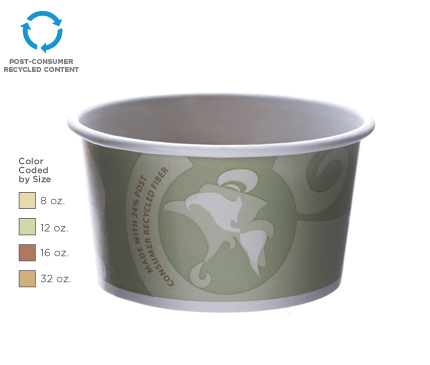 Recycled content food cups are the best alternative to traditional containers made from oil. Extra large Hot & Cold Food Containers for family-sized goodies from the deli.